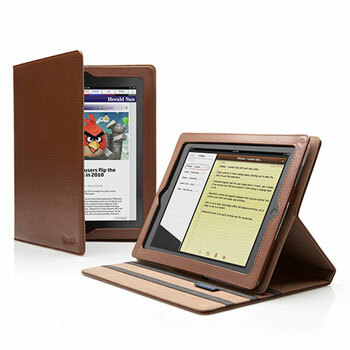 The Windsor Leather Folio Case from Cygnett is the best iPad case on the market and is a finely constructed quality leather product. The Windsor will offer you 360 protection for your iPad and like most people who own an iPad the occasional accident is in inevitable, but I feel 100% safe knowing my iPad 2 is protected. If you have spent hundreds of dollars on your iPad 2, why not spend a little bit more for the best iPad cover on the market, rather than a cheap iPad 2 cover. The Windsor not only looks professional but also offers three viewing positions. All cameras, buttons and touch screen are easily accessible with this cover. Once again Cygnett are leading the way in iPad 2 accessories.